Following League cup action midweek, the Premier League is back for another entertaining weekend of football action. Struggling Palace face a huge task in travelling to high flying Man City, while fellow title challengers Man Utd travel down to Southampton for a difficult away game. Chelsea will look to bounce back from the Arsenal draw with a tough game at Stoke, while Liverpool face a pressure game away to Leicester. Meanwhile a London derby awaits at the Olympic stadium, while two of the three promoted sides also clash this weekend. Tottenham fans will probably feel quite happy there away from home this week, having failed to win a home league game so far. Spurs’ away form has been strong though, meaning Pochettino will be confident and hopeful his side can win this London derby. West Ham have improved since their poor start and Slaven Bilic will want his side to repeat their home win over Spurs last year. 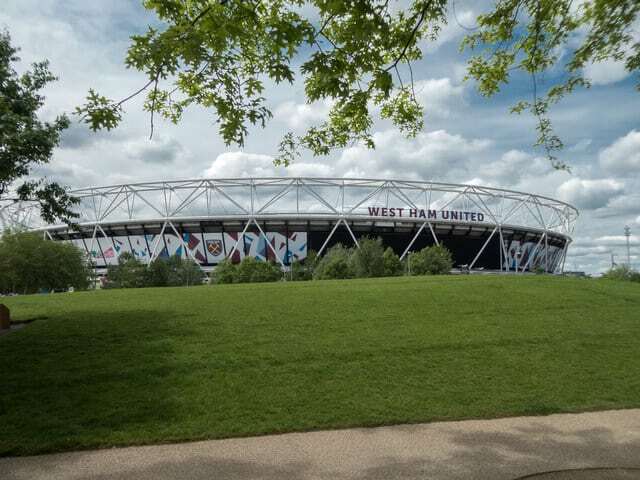 At the Olympic Stadium you usually feel West Ham will triumph, but Pochettino’s side are after some revenge – their loss in this fixture last year handed the title to Chelsea. With revenge in mind, and with their solid away form, I back Tottenham to get the job done. The way things are going for Roy Hodgson and Crystal Palace – a trip to the Etihad is the last place you want to go without scoring a league goal so far. Eagles fans will be dreading having to face a City side that is going in all the right directions under Guardiola. You would back City’s attack of Silva, De Bruyne, Jesus and Aguero to score goals against any side, but with this Palace side having such little confidence, you feel City will score goals freely. Jesus and Aguero in particular are linking so well together, you always expect one of them to score. Palace last weekend broke a PL record for failing to score a goal in the first five Premier League matches – this is likely to continue at the Etihad. Stoke have been very impressive at home, and now face another difficult challenge at home to champions Chelsea. A draw to Man Utd and a win over Arsenal at the Britannia will mean Mark Hughes side can certainly get the three points over Conte’s Chelsea. The Blues will be hugely disappointed to have not got the win over Arsenal last weekend – they were even lucky to manage a draw after such a poor display. Chelsea always respond, after their loss at home to Burnley they went on to win their next four games comfortably, so expect a Chelsea side that will want to attack and score goals. Blues fans will hope Belgium star Eden Hazard starts and bags his first league goal this season. With strong away form and looking to bounce back from a dull draw, expect Conte’s side to get the three points – despite Stoke’s strong home form. Liverpool fans will be begging for a win having failed to win in their last four games in all competitions. Although a largely second string team – they were poor at the King Power Stadium earlier this week, adding to how they failed to score more than one goal in 35 attempts against Burnley, means Jurgen Klopp is feeling some pressure. If Liverpool fail to win, expect calls for Klopp to be replaced increasing. Leicester meanwhile have probably had the most difficult start to the season. Their win over Liverpool midweek will give the Foxes a lot of confidence and Craig Shakespeare won’t accept anything other than a win here. Despite not gaining many points, Leicester have looked promising, so when easier games arrive they should pick up more points. This game is likely to be an entertaining draw though. Man Utd’s good form continued at home to Everton – with another 4-0 win this season. With Lukaku up front scoring a goal every game, and the likes of Rashford and Mkhitaryan in exciting form – there is a lot for United fans to cheer about right now. They are genuine title contenders, but if they want to win the title – Mourinho’s side will have to start winning these tricky away games. Away to Stoke, Man Utd were below par. At St Mary’s, they will need to improve. Southampton have been very up and down so far. Wins over Crystal Palace and West Ham have looked good, but considering these two sides are right down at the bottom you feel they were games Manuel Pellegrino’s side would’ve expected to win. The Saints were awful last home game to Watford, so they’ll be looking to bounce back. Against Man Utd – with their form, the Saints will find it difficult. Arsenal fans would have taken a lot of encouragement from their draw to Chelsea. After all the criticism Wenger and his side have taken, a draw – which may have well been a win, was a great achievement. If Arsenal win at home on Monday night, Gunners fans might be starting to believe they can have a strong season. Gunners fans will be seriously hoping that Chile international Alexis Sanchez can score his first league goal this season against Tony Pulis’s West Brom. The Baggies had looked really good at the start of the season – but their last couple of results has brought West Brom fans back down to earth. A loss to Brighton, and a frustrating home draw to West Ham means Pulis will want a win sooner rather than later. I can’t see this happening at the Emirates though – where Arsenal have been very consistent. After spending so much transfer money, after so much hope for this Everton side – Toffees fans will be wondering what has gone so wrong. They have looked awful so far. They’ve managed just one win so far, and even that was a struggle. Against Man Utd, Chelsea and Tottenham, they’ve scored zero goals while conceding nine. You can tell the pressure has gotten to Ronald Koeman, with his post-match interviews, with the main criticism being their failure to sign a striker to replace Lukaku. At Goodison Park at home to Bournemouth, you would usually say a comfortable win for the Toffees. This might not be so, with Eddie Howe’s Cherries winning their first game this season last Friday night. There’s no hiding that this is a must win game for Koeman, and although I feel Everton will win, it won’t overshadow the issues they have. I don’t even think Magpies fans would have thought that their Newcastle would be in the top four five games in. Benitez’s side have been very impressive, and fully deserve to be in fourth. No longer are they being considered for relegation, instead a mid table finish seems to be what many are expecting now. Three wins in a row could very well go to four if they beat fellow promoted side Brighton. The Seagulls will want a win, with just one so far this season. Chris Hughton will know this is a great chance for three points, facing a side they were competing with for the Championship title last season. The Seagulls have looked good at home so far, but with the way Newcastle are going, this feels like it’ll be too hard to separate the sides on Sunday. Paul Clermont would’ve been delighted with his side’s draw at Wembley. Swansea needed something from that game after a poor start to the season. Watford were looking good and were in fact unbeaten before the demolishing they faced to rampant City side. The 6-0 loss shouldn’t worry Watford fans too much given the way City are playing. However if they lose at the Liberty Stadium, manager Marco Silva might start to worry. Swansea will know they do need a win though, while fans will be hoping Renato Sanches can improve on his last performance at home. The Hornets will desperately want to bounce back to prove the City hammering was a one off, so both sides will be looking to attack and score goals. This fixture does have the making of a draw though. Sean Dyche will be thrilled with his sides start. They’ve failed to lose to any of Chelsea, Tottenham and now Liverpool. Along with winning their home games, there is plenty for Clarits fans to be confident about. At Turf Moor you usually get a home win – and against Huddersfield, the same should be seen. Huddersfield have looked at home in the Premier League so far, but we saw them lose 2-0 to West Ham – also a tricky away game. On this evidence, and with the way Burnley are playing, a home win is likely to happen again – Huddersfield will pose a huge threat though. Why is no one talking about Chris Froome?